There are various temples with the name Anryu-Ji in Japan. An important protector deity of a Soto Zen temple. (Jōhō Shichirō Daigen Shuri Bosatsu 招寶七郎大權修理菩薩). He was originally the earth spirit of King Ashoka Mountain (Aikuōzan, C. Ayuwangshan 阿育王山), a large monastery that Dōgen visited in China, and was adopted by Dōgen as a protector of Eiheiji. →"earth spirit." Daigen Shuri Bodhisattva, fierce ever-vigilant guardian of the Dharma. This incense is offered to you and all who protect the path and places of practice. Let us draw on your unflagging courage with the vow not to be cowed or distracted in our negotiation of the Way.
. Dogen Zenji 道元禅師 . It features statues of Yakushi Nyorai, the Buddha of Healing, with seven statues. It was founded by 行基菩薩 Gyoki Bosatsu, around 711. The temple is also called 長福密寺. 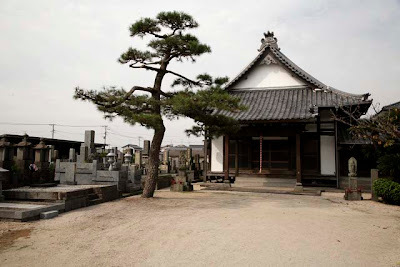 Now it belongs to the Shingon sect 真言宗御室派.
. Dragon Temples of Japan . In Chinese Buddhism, Guan Yu is revered by most practicing Buddhists as Sangharama Bodhisattva (simplified Chinese: 伽蓝菩萨; traditional Chinese: 伽藍菩薩,; pinyin: Qíelán Púsà) a heavenly protector of the Buddhist dharma. Sangharama in Sanskrit means 'community garden' (sangha, community + arama, garden) and thus 'monastery'. The term Sangharama also refer to the dharmapala class of devas and spirits assigned to guard the Buddhist monastery, the dharma, and the faith itself. Over time and as an act of syncreticism, Guan Yu was seen as the representative guardian of the temple and the garden in which it stands. His statue traditionally is situated in the far left of the main altar, opposite his counterpart Skanda. 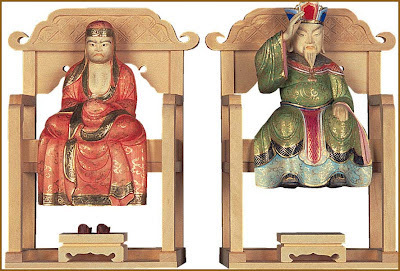 According to Buddhist legends, in 592, Guan Yu manifested himself one night before Ch'an Master Zhiyi, the founder of the Tiantai school of Buddhism, along with a retinue of spiritual beings. 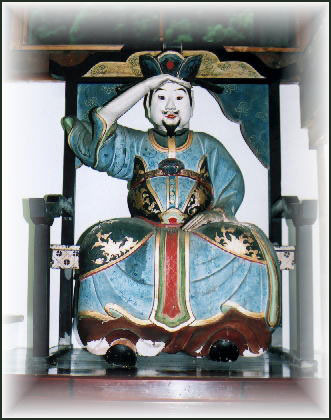 Zhiyi was then in deep meditation on Yuquan Hill (玉泉山) when he was distracted by Guan Yu's presence. Guan Yu then requested the master to teach him about the dharma. After receiving Buddhist teachings from the master, Guan Yu took refuge in the triple gems and also requested the Five Precepts. Henceforth, it is said that Guan Yu made a vow to become a guardian of temples and the dharma. 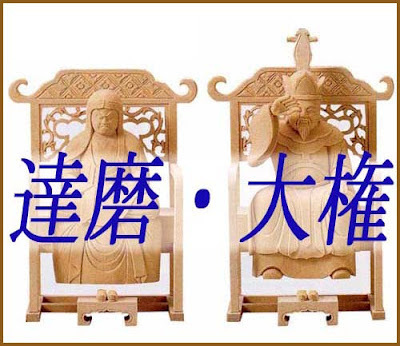 Legends also claim that Guan Yu assisted Zhiyi in the construction of the Yuquan Temple (玉泉寺), which still stands today.